Thank you for your time and allowing us to introduce EXIT Realty Pro. We are Mike and Debbie Murdock, Real Estate Specialists for the Canton and Van Zandt County area. Our offices are located in historic Canton, Texas. We encourage you to browse our listings and contact us for more detailed information on property that interest you. EXIT Realty Pro integrates cutting edge technology with our wealth of experience to provide the best service available in Van Zandt County. 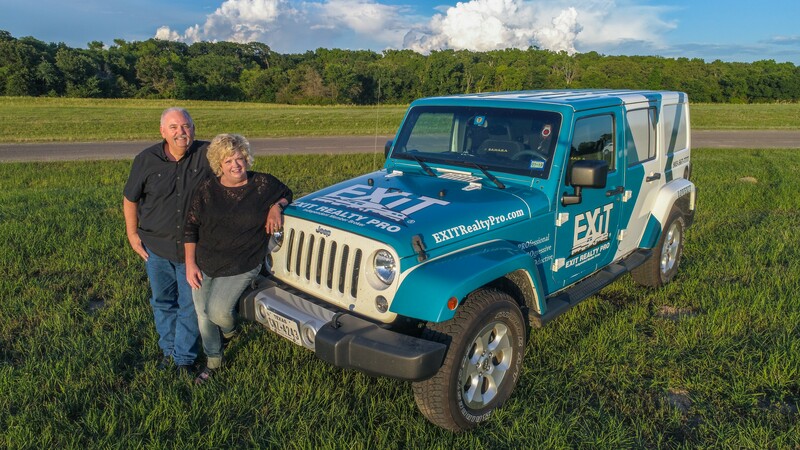 EXIT Realty Pro serves East Texas, Van Zandt county and surrounding areas of Canton, Wills Point, Edgewood, Van, Ben Wheeler, Grand Saline, Fruitvale, Terrell and Kaufman. Call or stop in. We look forward to seeing you soon!